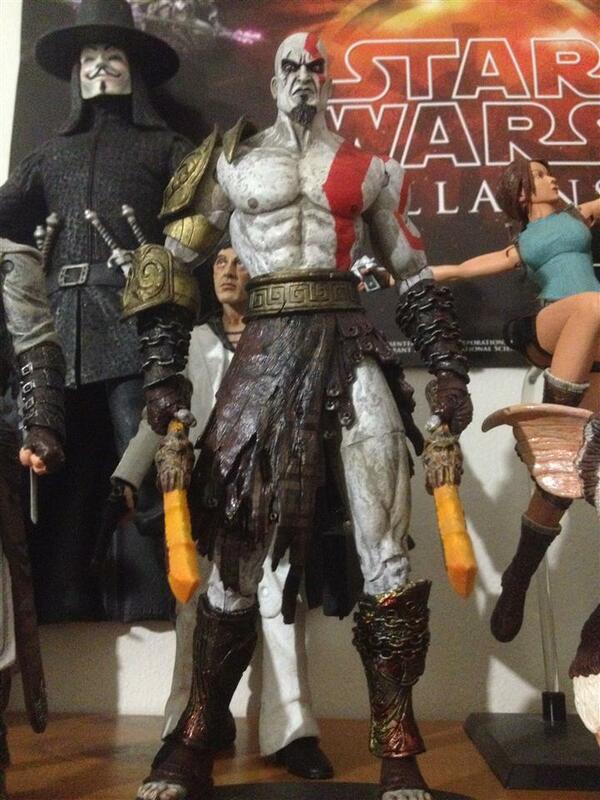 NECA Kratos collected in Figure Collection by Tayler Rowe - Collected It! The infamous god killing Kratos. Way back in the day of the PS2 is when I fell in love with this guy and knew one day I'd have my very own Kratos to sit atop one of my shelves. The figure is beautifully crafted and the detail is uncanny to the game. The addition of a cut off Medusa head is a great touch and the blades look great. his skin is awesome to say the least, but the blood soaked armor stands out the most. eBay is the best spot to find these guys and there is like 3 or 4 variations of him, I opted for the simple look because the menacing attitude of the character is captured best in this version.